The spotted towhee (Pipilo maculatus) is a large New World sparrow. The taxonomy of the towhees has been debated in recent decades, and formerly this bird and the eastern towhee were considered a single species, the rufous-sided towhee. 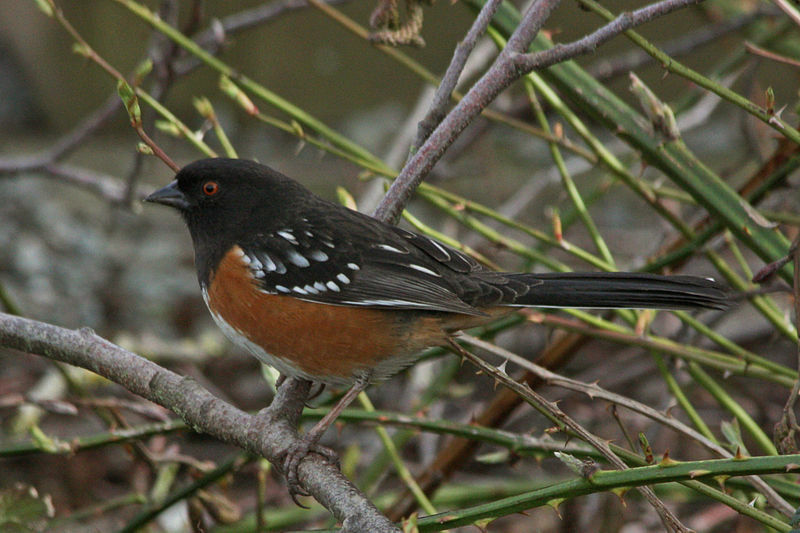 An archaic name for the spotted towhee is the Oregon towhee (Pipilo maculatus oregonus).